We had a great day with the grand-daughters at Chuck E. Cheese. Jayda was as cute as a bug, Pyper loved Chuck E. Cheese but from a distance, and Kiara and Pyper both loved playing all the games and collecting tickets. 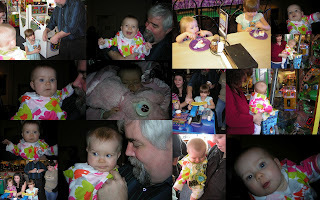 Thanks to everyone that made Kiara's birthday so special. Nana and Papa loved spending time with our three grand-daughters.